Hi!! I want to wish a happy vacation to everyone who is out for the holiday this week! And to the others still in school, I hope you have a lot of fun with your students this week! We’re in until Wednesday and I’m expecting the holiday excitement to be picking up steam quickly. So. What best to do with a roomful of 5th graders anxiously anticipating a four day weekend?? Dissect owl pellets!!! (At least I hope that’s the answer). I just adore science (you guys know I love raising salmon each year and I’m nuts about our ecosystem bottles). But owl pellets? I have to admit, I’ve always thought “ew”. But the opportunity came up and I didn’t want my students to miss the chance. So, on Tuesday, we will all be dissecting owl pellets for the first time! In preparation for the dissection, I headed to my trusty MacBook to learn out everything I could…and find something to help my students build some background. 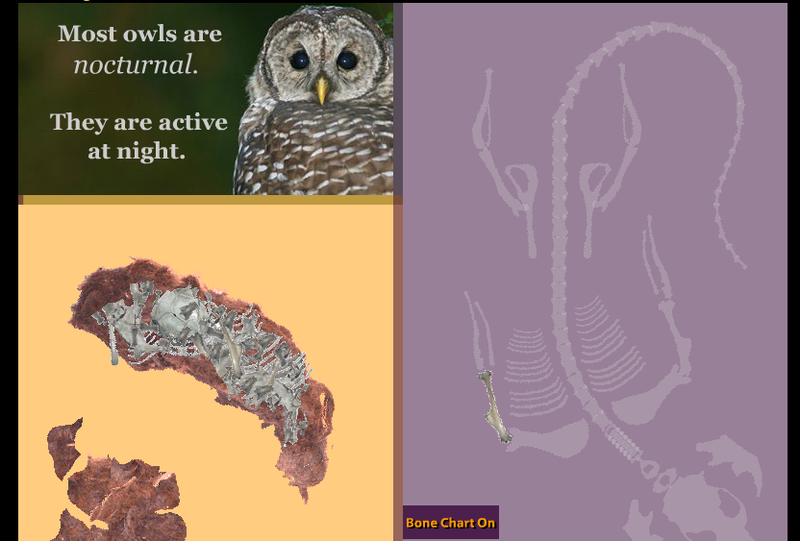 Well, turns out there is a very cool site where you can dissect an owl pellet virtually (ah, the cleanliness of the Internet!). I knew it would be PERFECT for students who were already feeling squeamish…not to mention my newcomer ELL students, who would need some great visuals to know what to expect. It’s called KidWings and it is excellent! 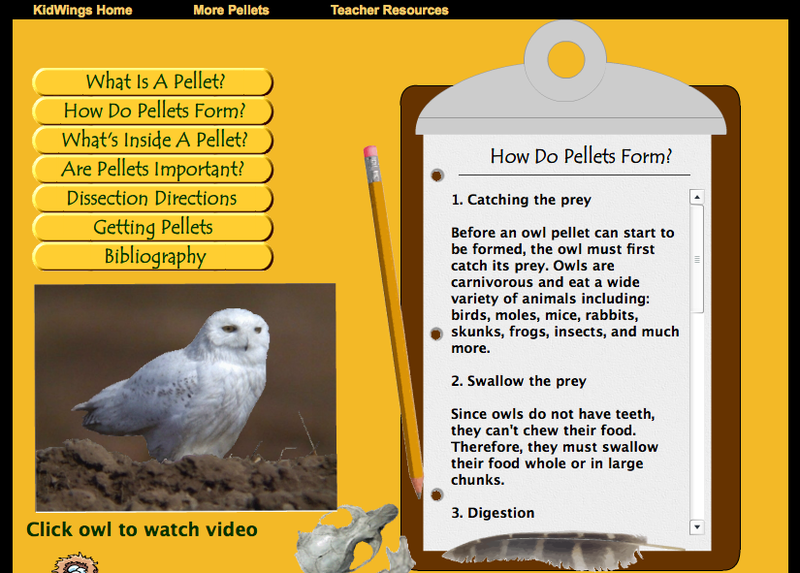 There’s a page to dissect a pellet virtually (this was a HIT with my 5th graders). As the students place the bones on the chart, a computer voice reads the name of each bone…I had a blast watching my students dissect, sort, and repeat those bone names! But of course, being the mean teacher I am, I made them do some reading and discussion before virtually dissecting. …so my students would be armed with the basic info. before dissecting. Virtually. Which they loved! We are now very excited and ready for the real dissection on Tuesday! And I will have some more files to share after we finish. For now, if you’d like to grab the sheet feature above, please click here for the direct download. I don't teach science, but I remember one year when I had a hoarding student. During fifth grade conferences, it came to my attention that this student kept things under his pillow, including his fourth grade owl pellet. So… yeah. THANKS for the freebie and the site recommendation. We are doing this -the real thing- in a few weeks! Smiles and stop by anytime! Just an FYI – they stink! We did it outside on butcher paper with parent helpers using squirt bottles to soften them up. We also used popsicle sticks, opened paper clips, and toothpicks to help break them a part. I didn't have any tweezers. I attempted owl pellets last week with my second graders. Oh boy what an experience! I had some students get sick because of the smell. I didn't think it was that bad. We ordered ours from http://www.owlpellets.com. I liked the bone chart that came with the kit. It was interesting to see what the owl ate. Good luck with this project this week and as always thanks for the great info and freebie! I can remember doing this as an elementary school student. It's gross, but fun and educational. Thanks for sharing the freebie. I'm pinning this post on my science board. First, you totally made my day! Thank you for stopping by my blog today! I've never dissected owl pellets, but I've seen them. VERY interesting! My favorite science activities involve ice and crystals. I'm looking forward to January! Oh that is such a wonderful site. We don't dissect owl pellets and truth is I do think "ew" but I love the option of doing it on the net. Fab as always. This is perfect! Thank you so much for sharing this site and your adorable paper to accompany it!! I have been wanting to do owl pellets with my class for a while. I remember doing it when I was in 7th grade and it was so much fun! Although after reading the comments, I don't remember it spelling badly or being so messy! haha I still want to give it a try though! I'm excited to see how your actual dissections turn out! 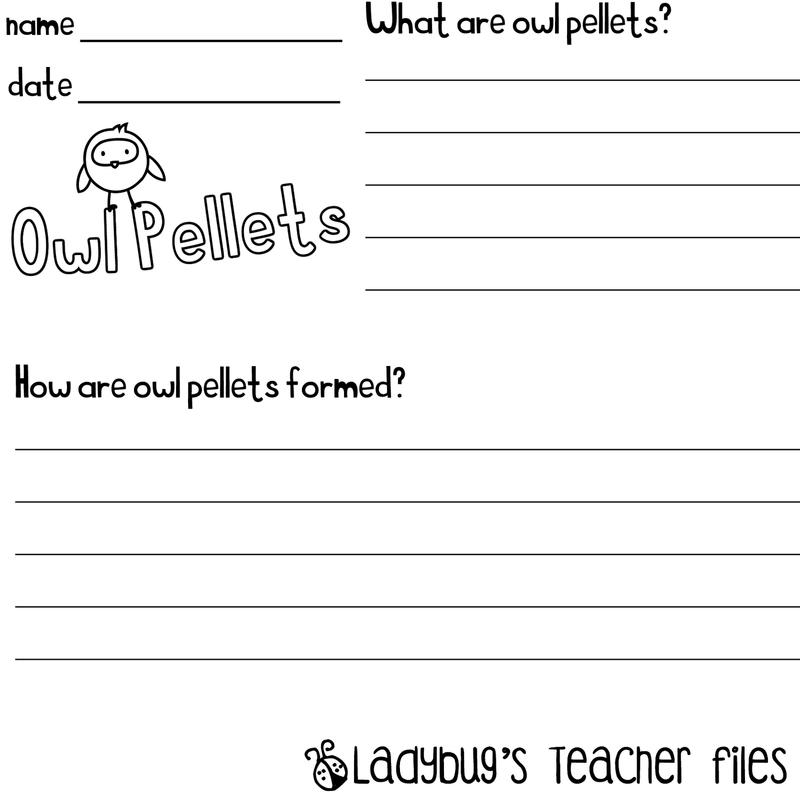 I just did owl pellets last week with my fourth graders and posted about it. 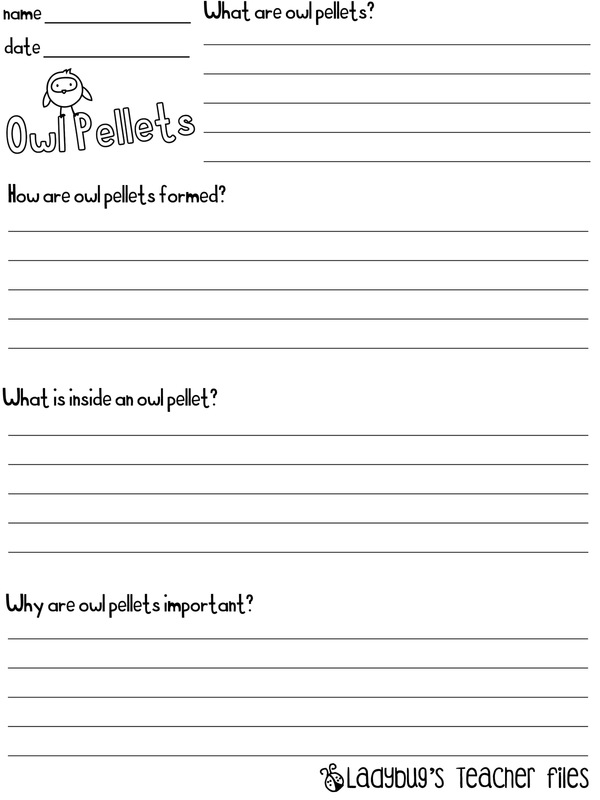 Since we are learning about the scientific method, I created a sheet for them to become familiar with the process during the owl pellet experiment. I uploaded it free to my TPT so I'll link to that post it if you want to check it out. Have fun with the owl pellets! Thanks for the site info! I was just stopping by to wish you a Happy Thanksgiving! Owl pellets are awesome! We did them on Halloween. We had an owl themed day after our parade and this was part of it. My 3rd graders LOVED it!!! They could have picked through those things all day! After they found all the bones we glued them on black paper. It's very cool. I blogged about it. I love the sheet you created! Thanks! I'm wondering if I can tweak this for first grade because I'm super intrigued!!!!!!!!!!!! Your kiddos are so lucky to have you!! Kristen, I'm thankful for you and all of your support and for always stopping by my blog! I've done this with my 4th graders many time and they LOVE it. I always make sure I cover their tables with newspaper and give them rubber gloves and toothpicks (that way they don't actually have to touch it!). Also, just an FYI, there is a really cool iPad app to virtually dissect owl pellets as well! That is really cool Kristen. To be honest, the owl pellets gross me out so much that I steer clear of them. This might be the way to go! That is a really neat site. Since I teach 1st, I passed the info to my daughter's 4th grade teacher. Thanks for the info! I do this every year when we talk about food chains and food webs. Thanks for sharing the website. There is a picture book that goes along with owl pellets. It is called White Owl, Barn Owl. We decided to do our owl pellet dissection on Halloween, AFTER the parade, party, sugar-rush etc. It was the perfect way to keep their minds off of trick-or-treating. Thank you for sharing your files! Hi Kristen! I started using Perfect Pellets from Fisher Scientific – they're great! There is a complete PLASTIC skeleton in every owl pellet. They look exactly like real owl pellets but they are not real, Fisher makes them in their labs. Less mess, no smell, less confusing skeletal parts all over the place! My students love this lab! I just started my science teacher blog, stop by if you get a chance, I'll be posting everything we do in lab! I love your blog, your tutorials are fantastic!